A great addition to any of our rear-view monitors or other products that need a 12V power and ground. 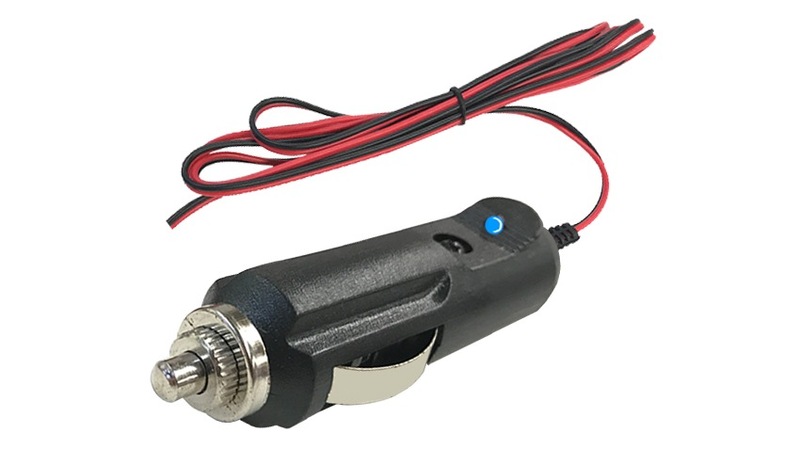 This heavy duty 12V cigarette light adapter will work with ANY vehicle. The 10ft long cables allow you to find a comfortable spot when wiring you rear view monitor to your dash.
" I Purchased this plug for my five FedEx trucks that I own. I am satisfied with the product and the price and for all of you with fleets I recommend this accessory. It makes the installation a lot easier. " "I was setting up my wireless 7" monitor and couldn't for the life of me get into the fuse box behind the dash, lucky y'all sell this cigarette adapter because there was no way I was going to be able to get this up and runnin! Would definitely recommend this with any order, saved me a whole lot of time and head aches"
"I purchased a system from Tadibrothers 2 years ago and at the time i hardwired the system but when i sold my truck i needed to move it to another car but because it was a lease hard wiring isn't an option. the tech team lead me to exactly what i needed and this worked perfectly"
"Good product but a little expensive, I've been using it for about 2 weeks and have had no problems. The frame and the wiring look like its made of solid materials so as long as it keep working I'm OK with the price"